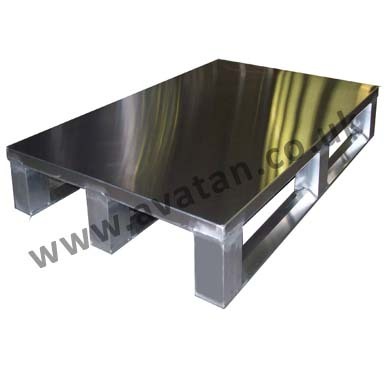 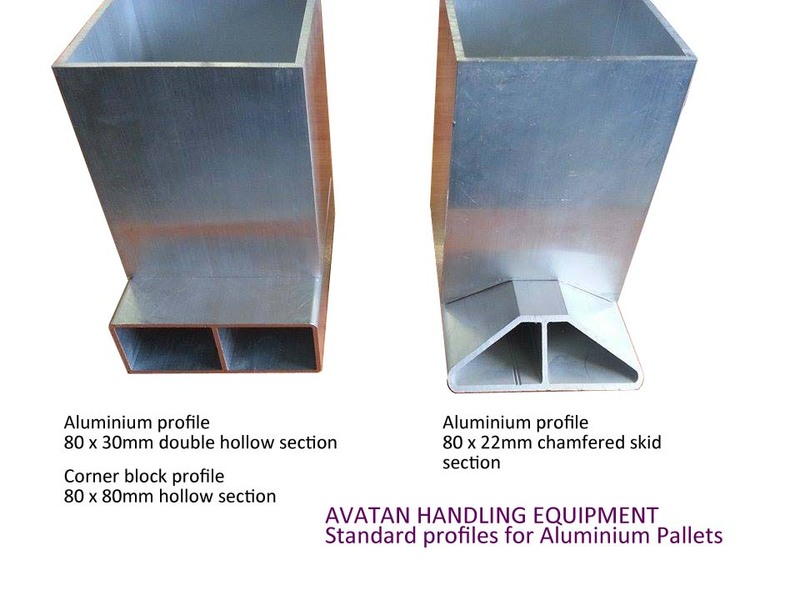 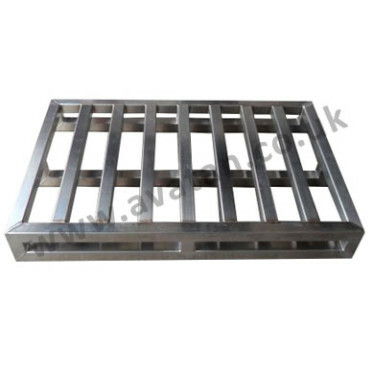 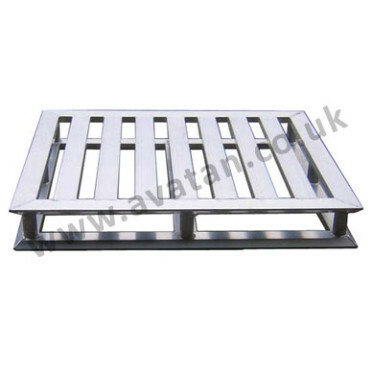 Aluminium pallet shown here are standard pallet size, 1200mm x 1000mm. 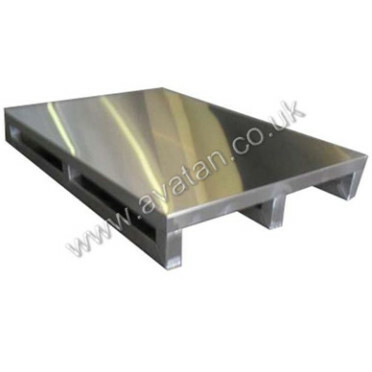 Generally available in stock for immediate despatch, with 5 planks running 1200mm using 80mm extruded double hollow section leaving 73mm gaps between the planks and with free entry on the 1200mm sides and with two skids on the short sides. 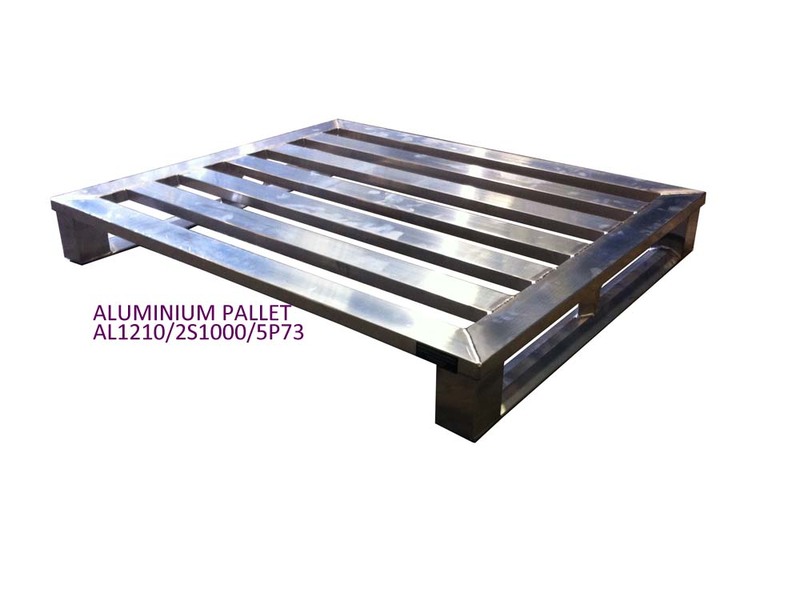 Alternatively these flat aluminium pallets may be manufactured to order with 6 planks running 1000mm leaving 80mm gaps between the planks with free entry on the 1000mm sides and with two skids on the long sides. 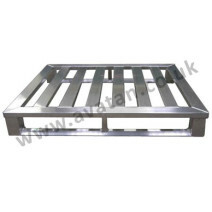 We use an extruded chamfered hollow section for the skids enabling the pallets to be handled by fork lift or hand pallet truck.